We’re happy to inform our customers that we just add a new services to Unlock iPhone from Sunrise Switzerland. We test the service with few IMEIs and it look to be working properly ! So we can today advertise this fully tested & working service. Absolutely all models are supported and confirmation of unlock are coming in less than 12 working days.
! ONLY OUT OF CONTRACT IMEI ARE SUPPORTED ! We’re happy to inform our customers that we just add a new service to Unlock iPhone from Orange Switzerland. We test the service with 2 IMEI and it look to be working properly ! So we can today advertise this fully tested & working service. Absolutely all models are supported and confirmation of unlock are coming in less than 3 working days. After 1 month without service, we’re pleased to inform that we just restart the service to Unlock iPhone from Swisscom Switzerland. Service is now working 24/7 in less than 48H.
! ONLY CLEAN IMEI ARE SUPPORTED ! 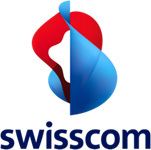 We’re happy to inform our customers that we just add a new service to Unlock iPhone from Swisscom Switzerland. We test the service with 2 IMEI and it look to be working properly ! So we can today advertise this fully tested & working service. Absolutely all models are supported and confirmation of unlock are coming in less than 6 working days.